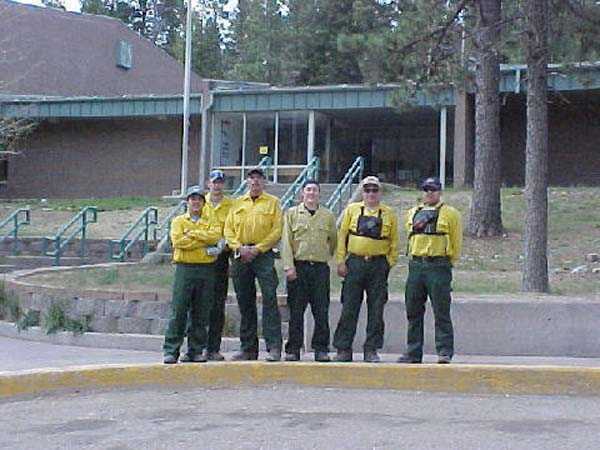 Hotshots from Montana in Cloudcroft to fight the Rio Penasco Fire. 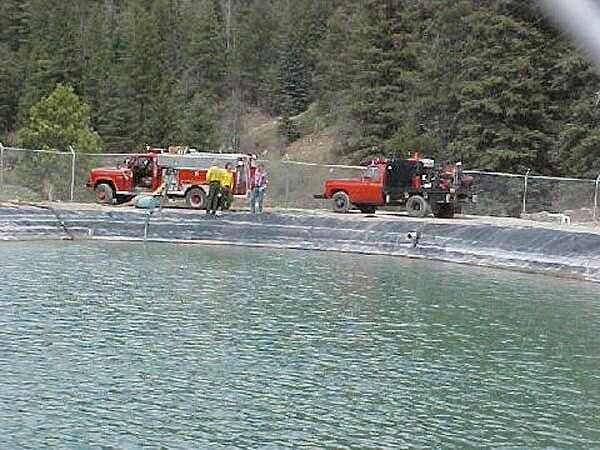 Water depot near the ski area in Cloudcroft. 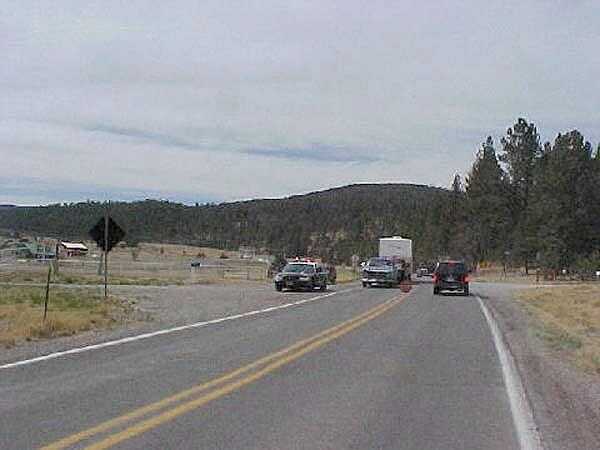 Roadblock on Highway 82 near Cloud Country. 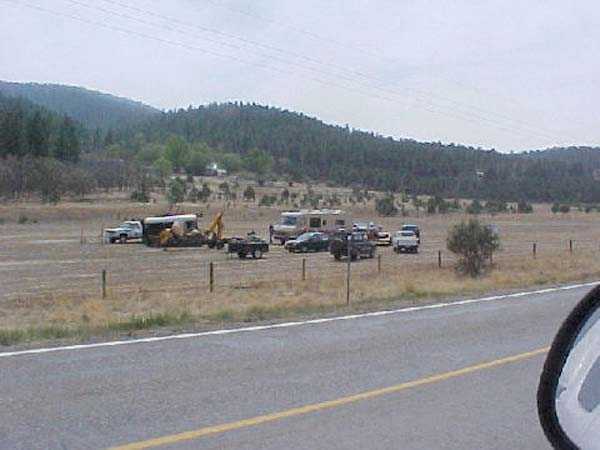 Safe area where residents have moved their vehicles (Highway 82)..
All Photos Copyright 2002 by Cloudcoft Online.